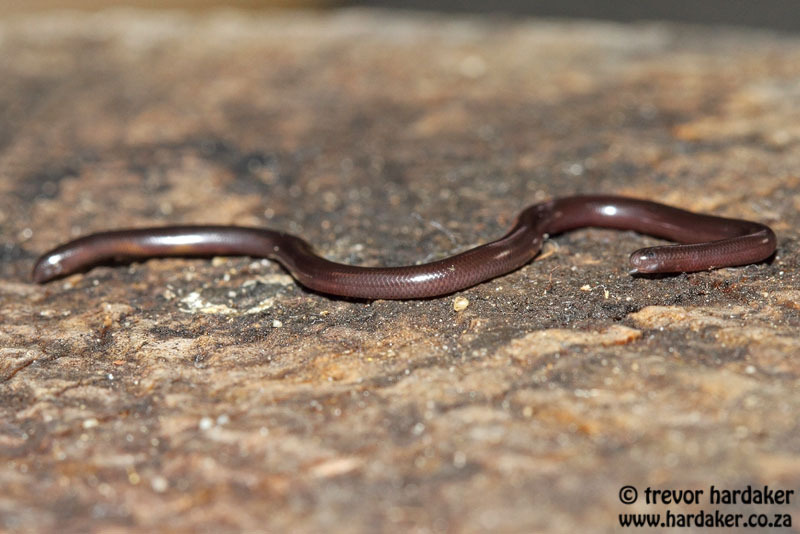 We had met up with Cliff and Suretha Dorse this morning to look for Sand Rain Frogs for a research study that we had been asked to assist with, but were unsuccessful in finding any. 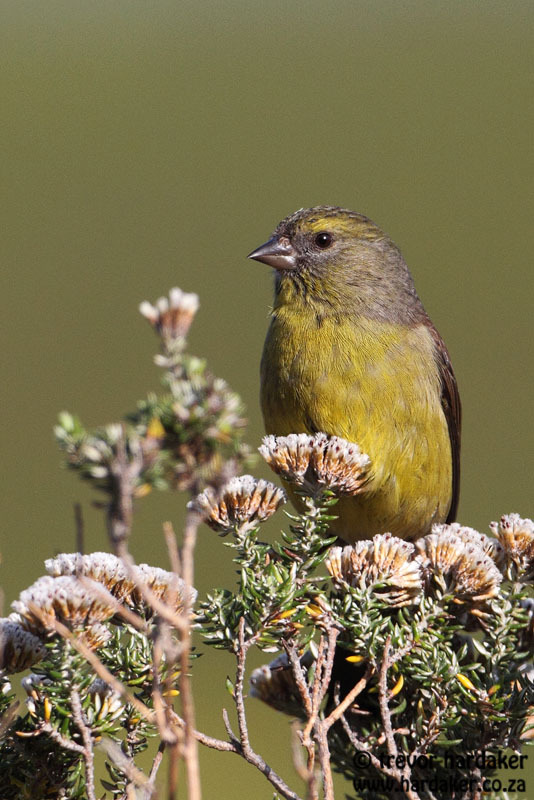 There had not really been enough rain over the last few days to get the animals active and calling, so we resorted to looking for a few reptiles in the area. 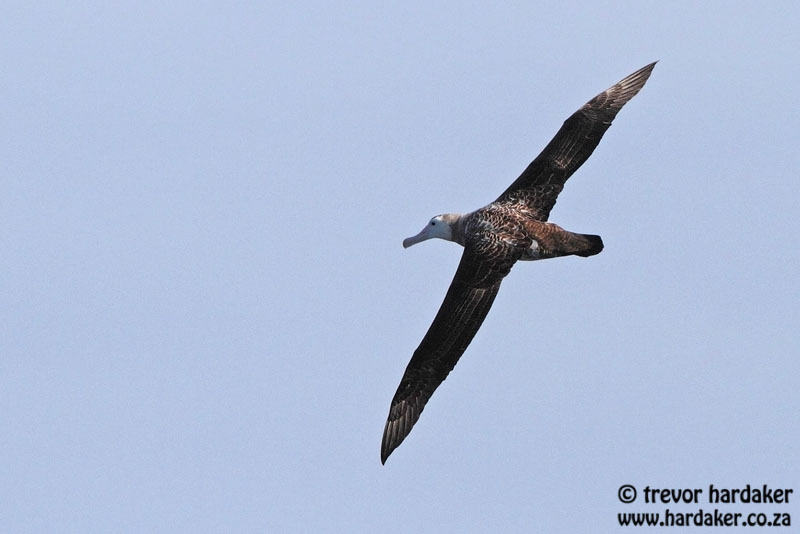 Trevor was once again a guide on a Zest for Birds pelagic trip today (co-guiding with John Graham and Alvin Cope). 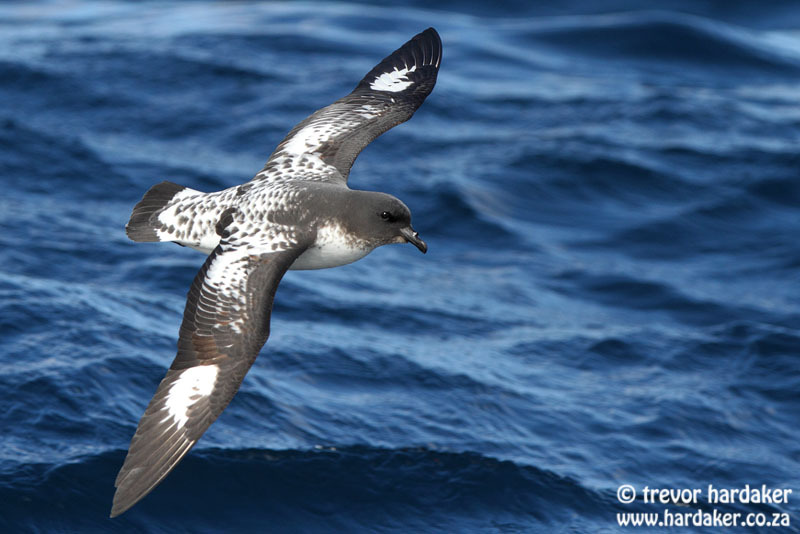 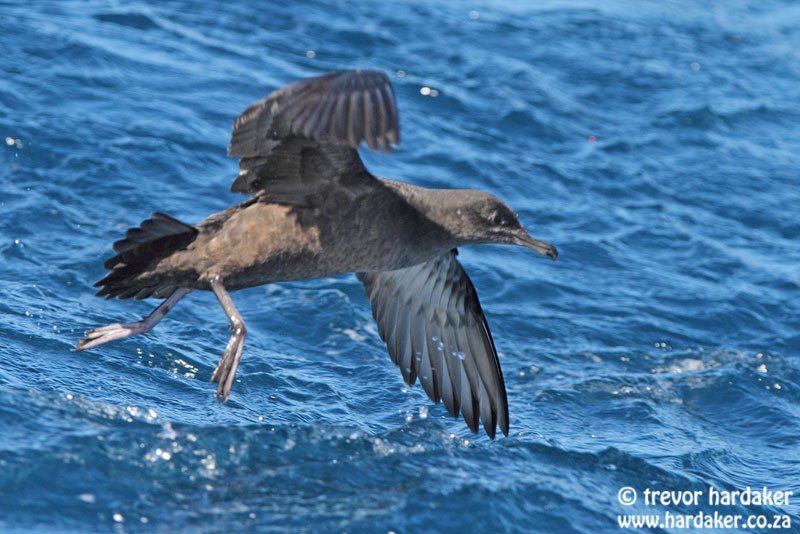 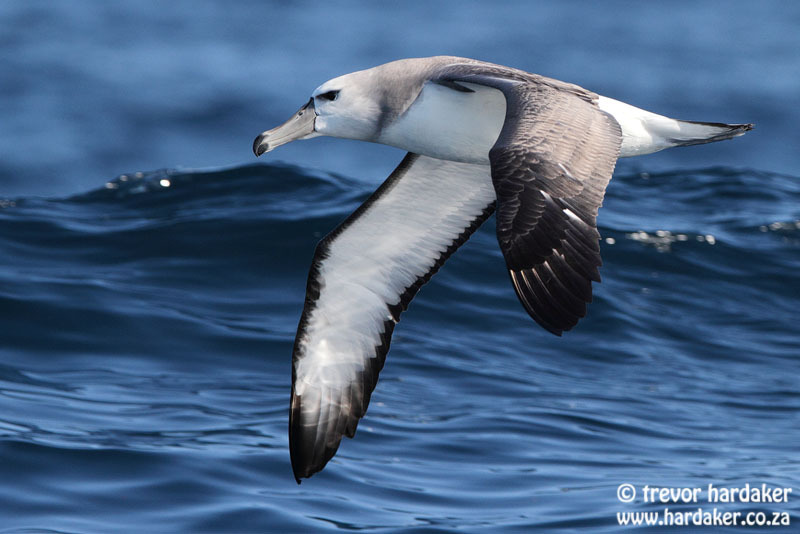 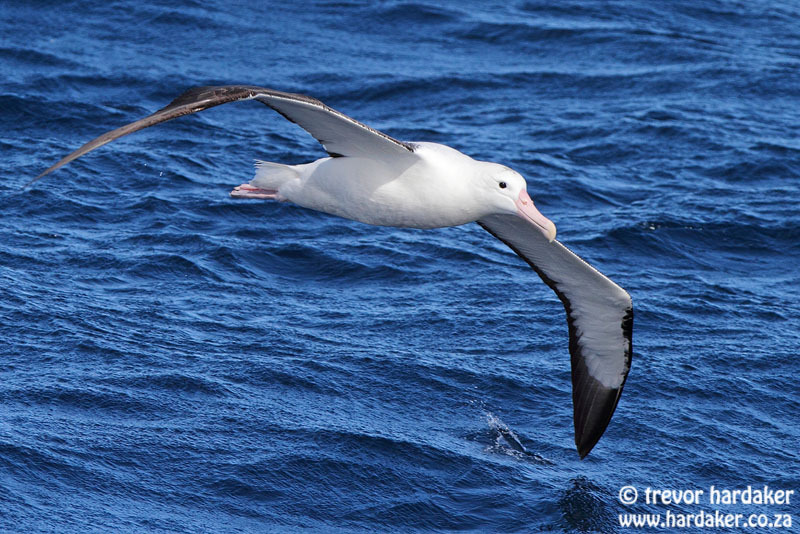 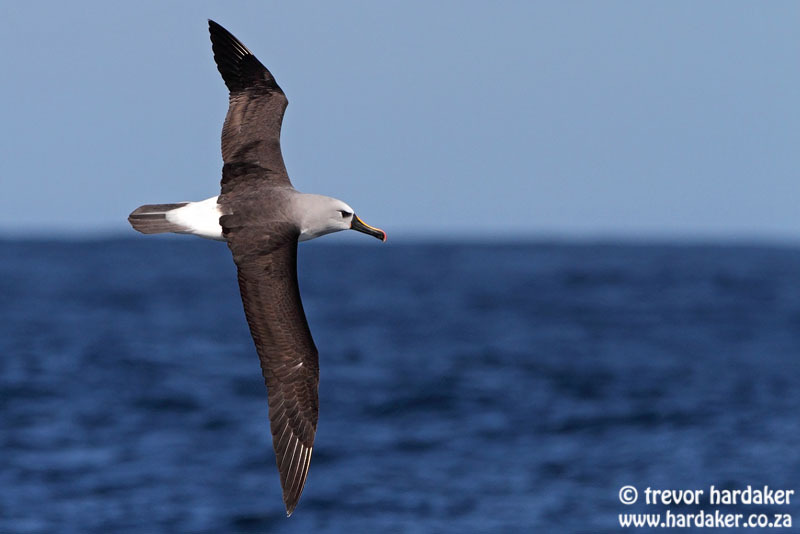 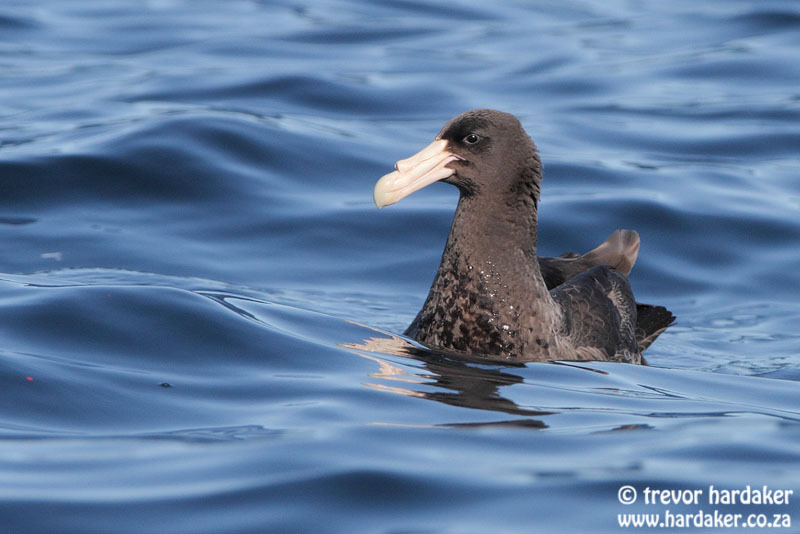 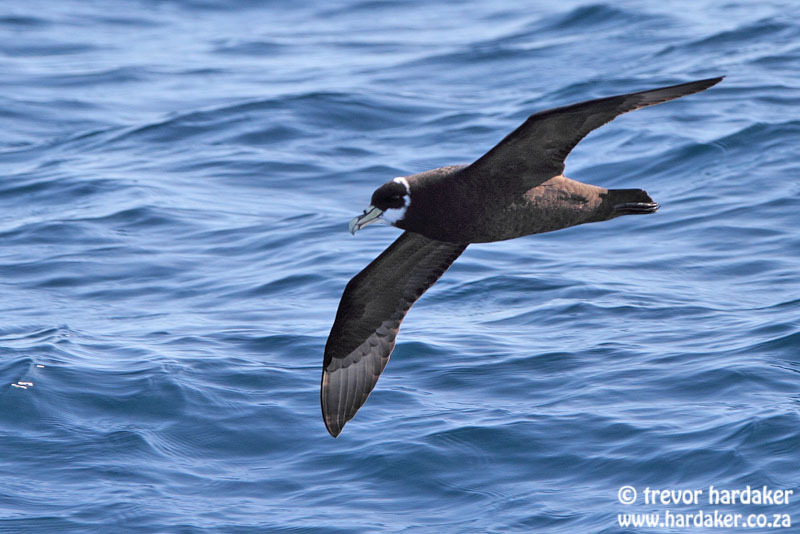 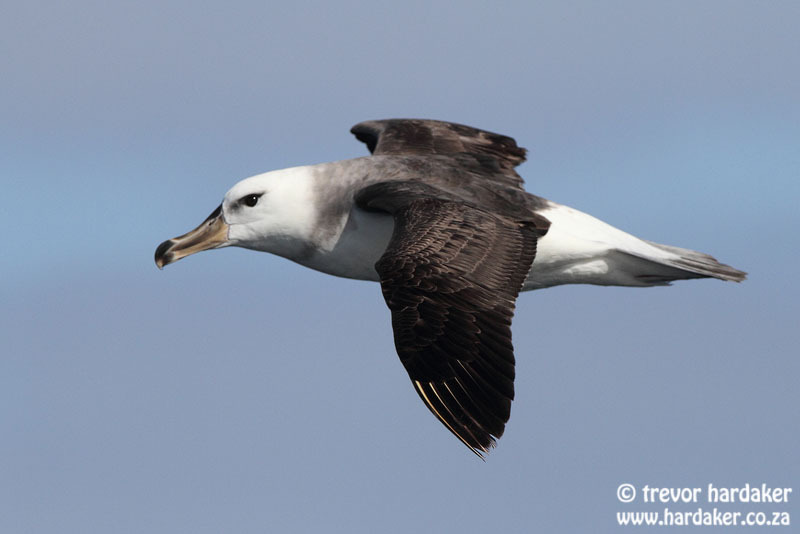 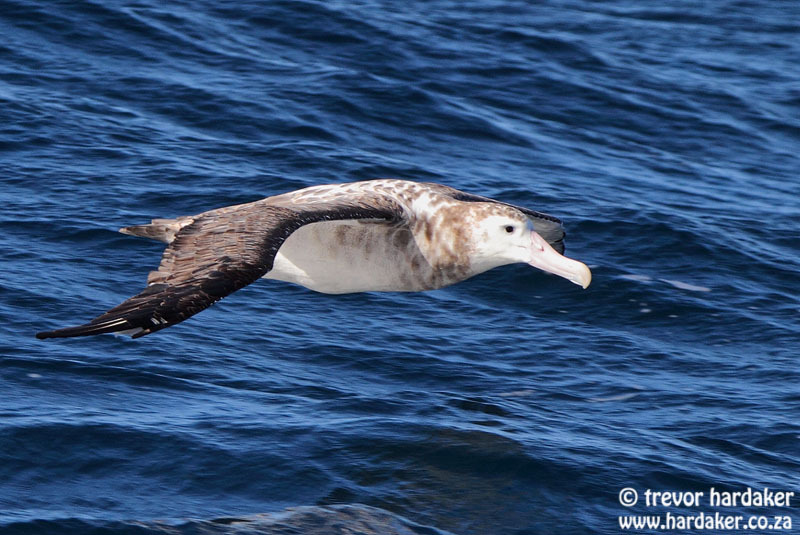 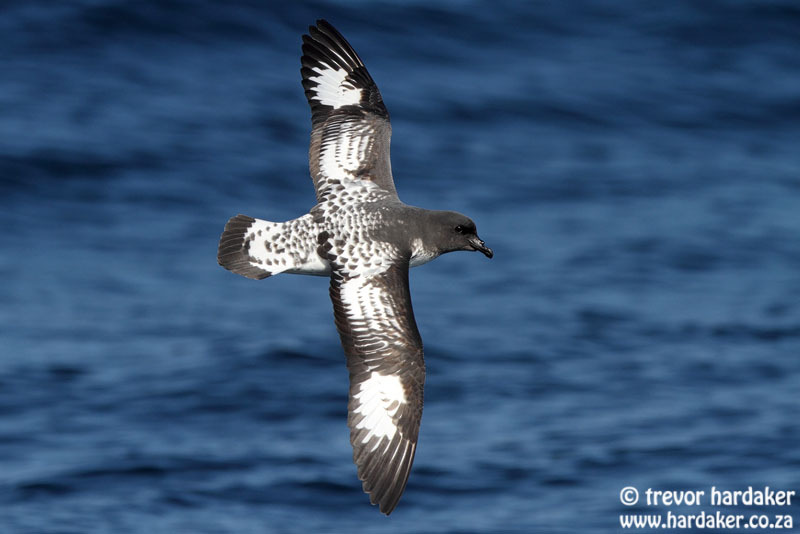 The trip out into False Bay was calm and also fairly quiet delivering just a few Cape Gannets and White-chinned Petrels, but once we rounded Cape Point, we started encountering our first Sooty Shearwaters and a little later, our first Shy Albatrosses of the trip. 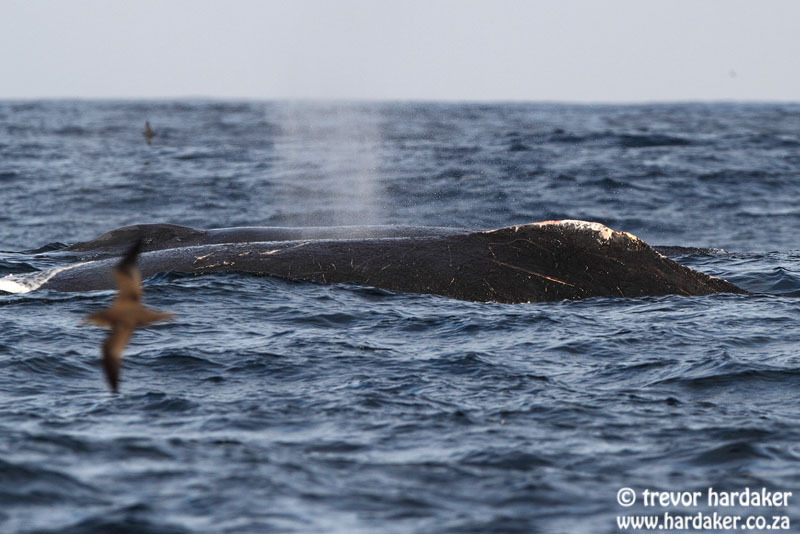 Not too far offshore, we also came upon a small pod of Humpback Whales, one of the animals showing a somewhat odd back with very little dorsal fin. 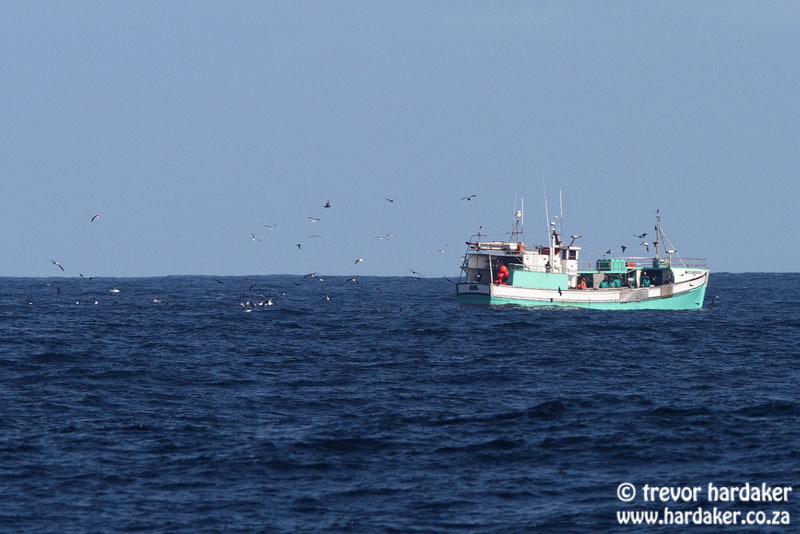 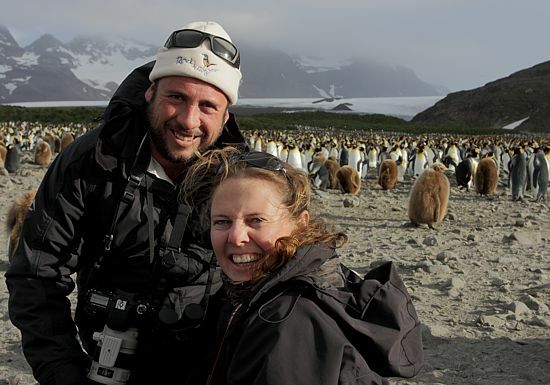 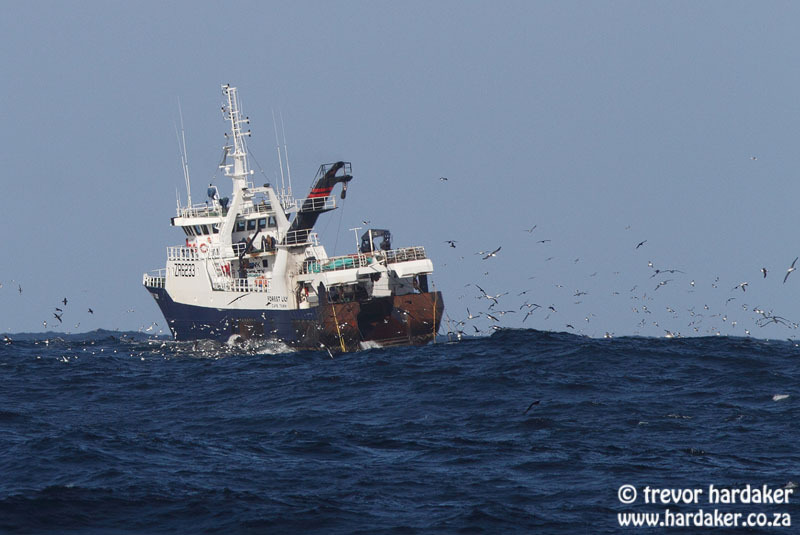 We headed further out into the deep picking up regular birds along the way until we came across a couple of Longliners. 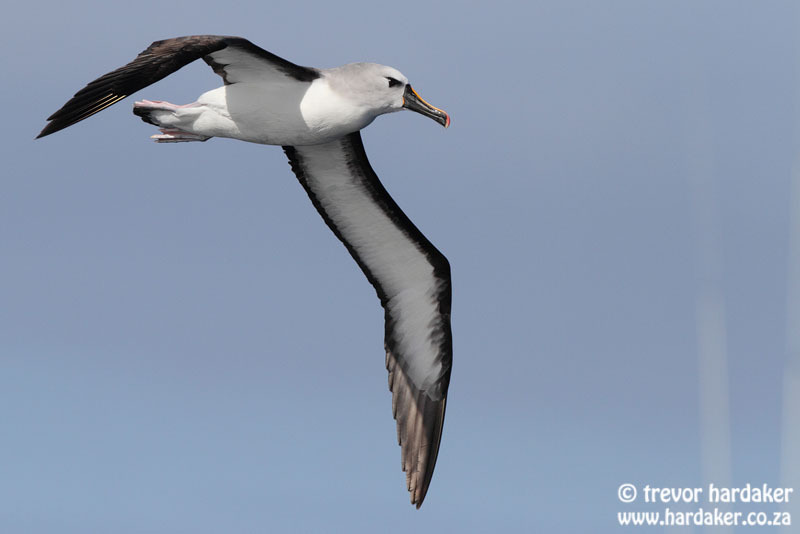 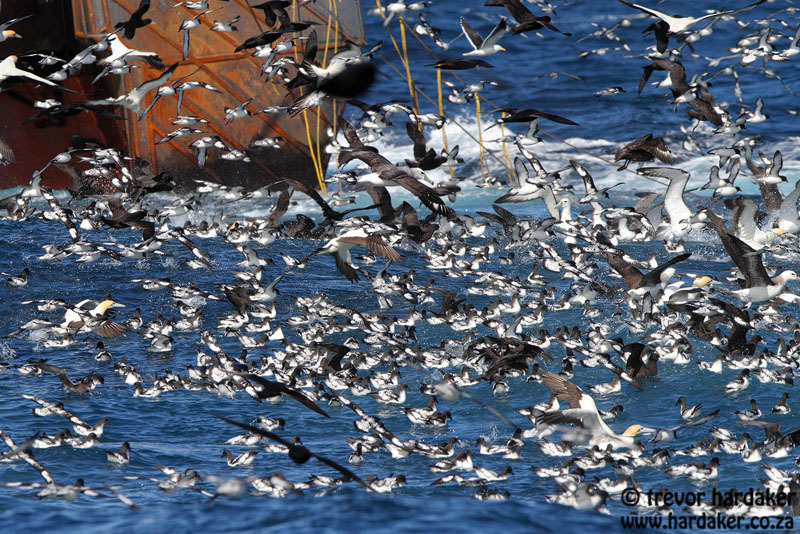 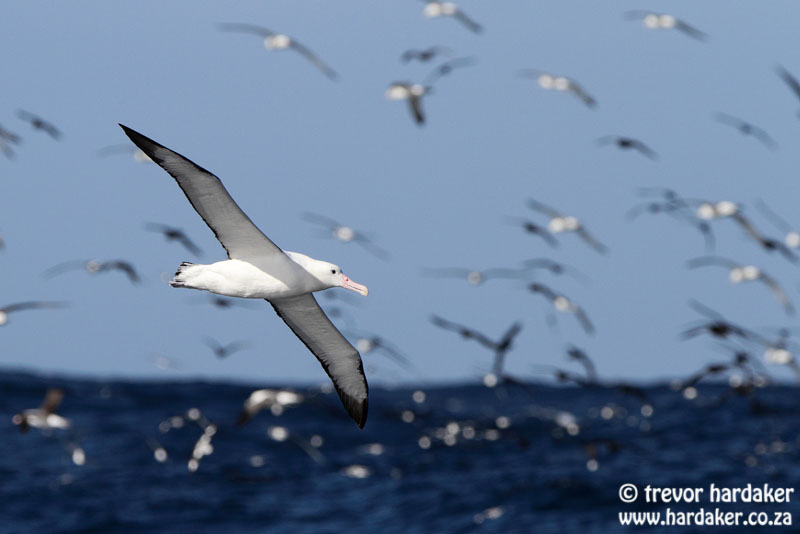 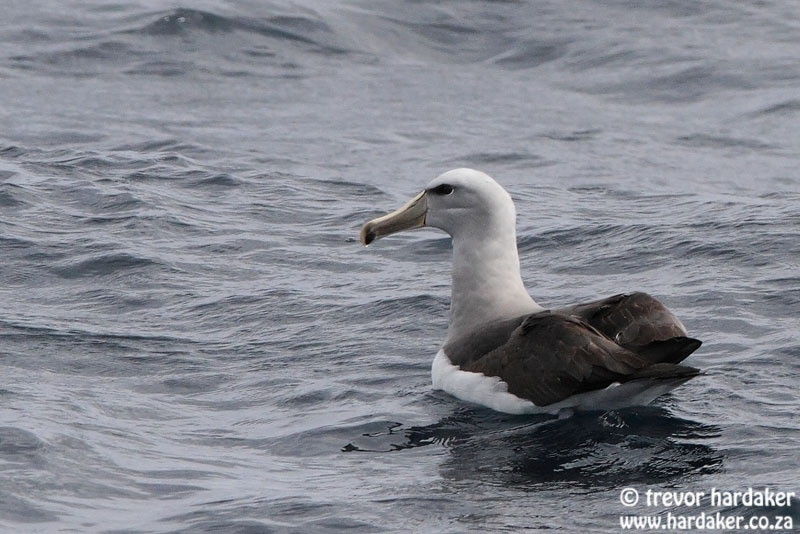 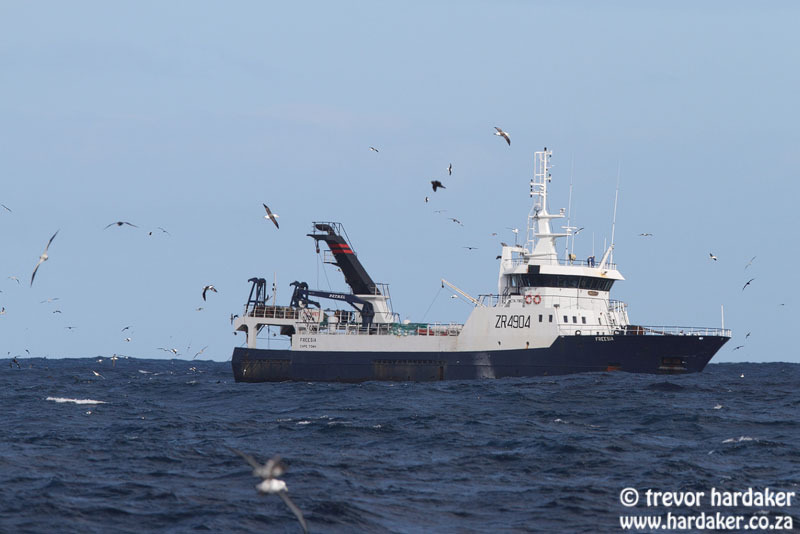 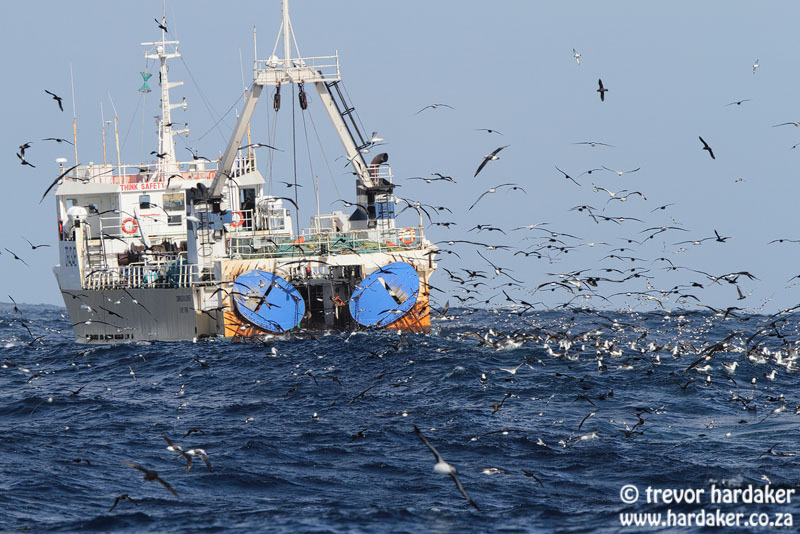 Although not quite as impressive as trawlers in terms of the number of birds they attract, there were still good numbers around and we were soon picking out a number of the more regular species like Southern Giant Petrel, Pintado Petrel and Atlantic Yellow-nosed Albatross. 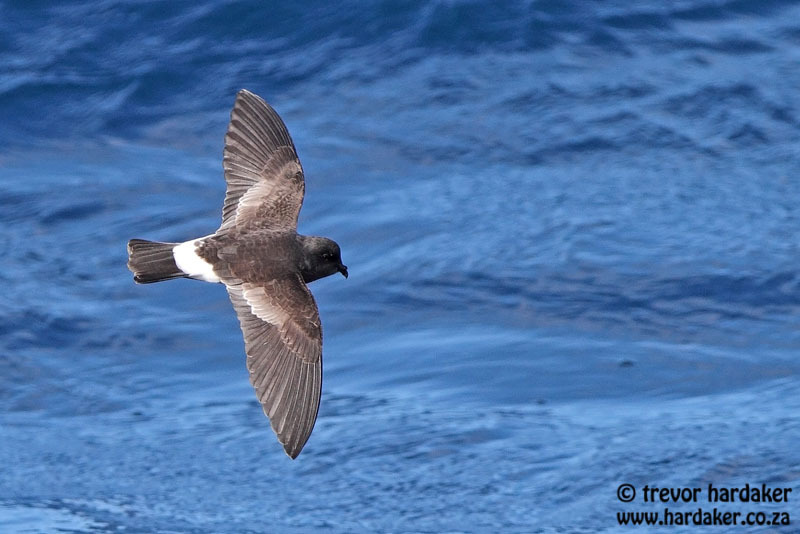 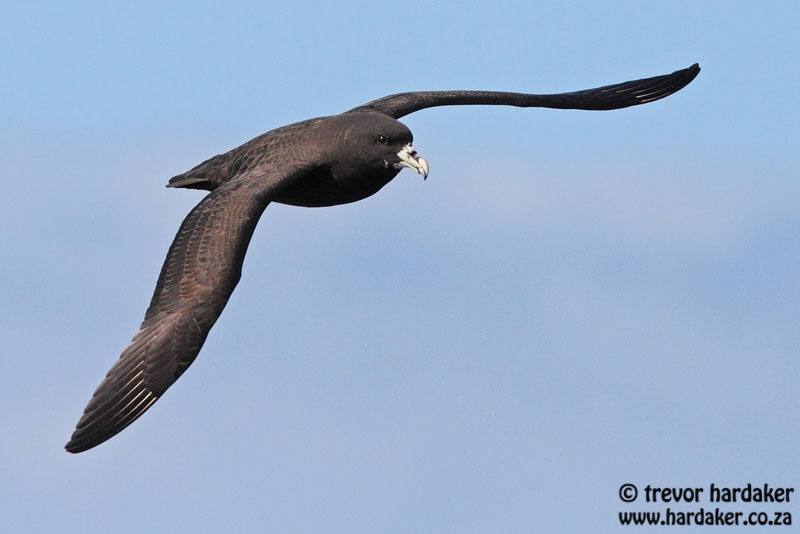 We also got a little bit of a surprise with an aberrant White-chinned Petrel which showed white up on to its crown. 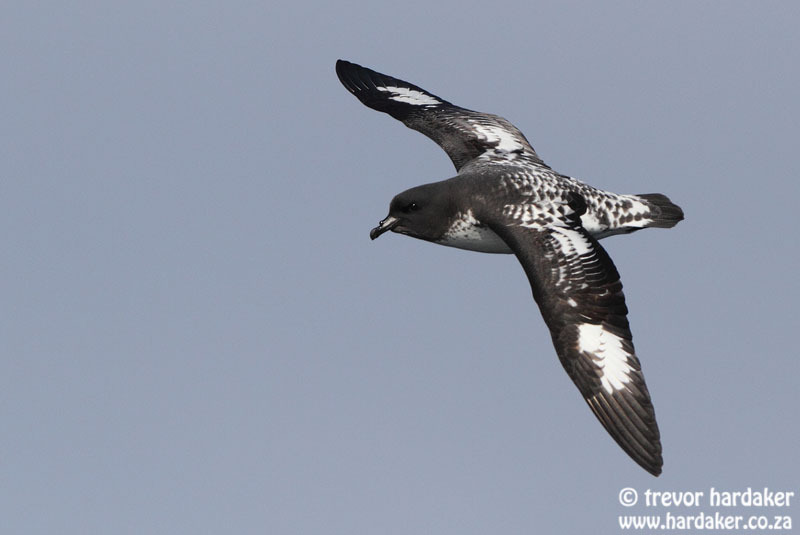 Initially, from a distance, we thought it might have been a Spectacled Petrel but, as it came closer, we could soon see that it wasn’t one. 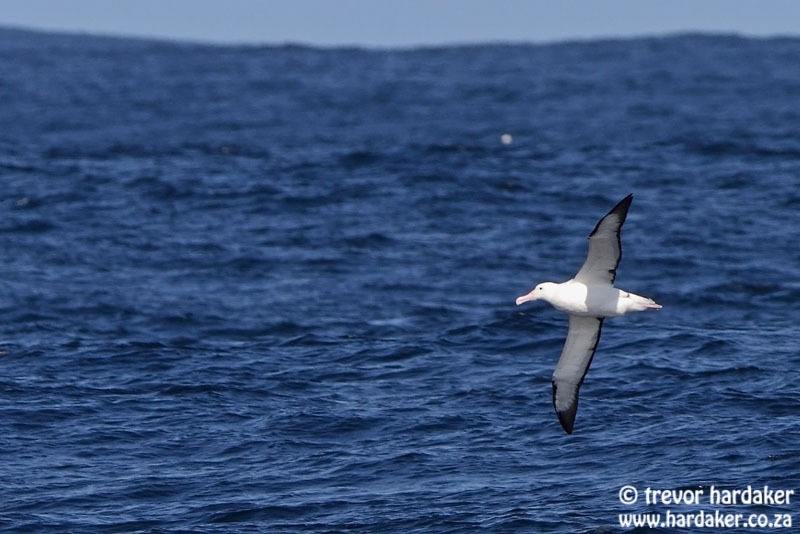 Careful scanning through all the birds eventually turned up the highlight of the day, a lovely Northern Royal Albatross and our only rarity of the trip. 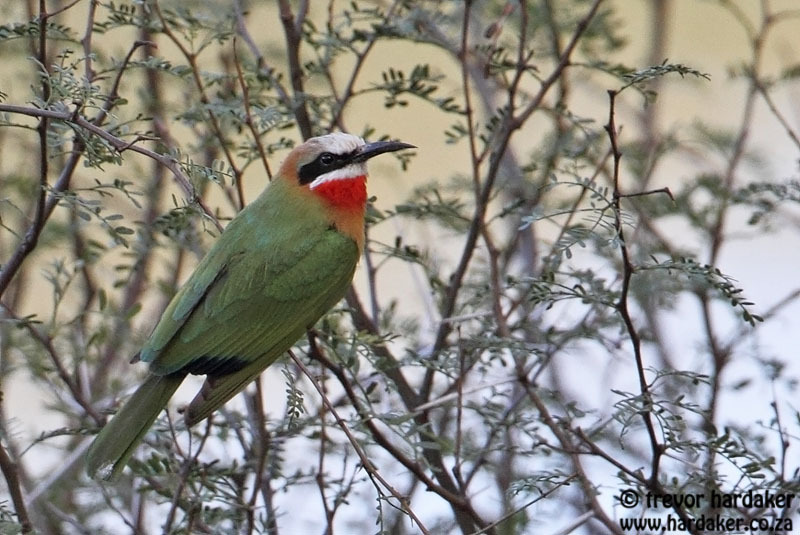 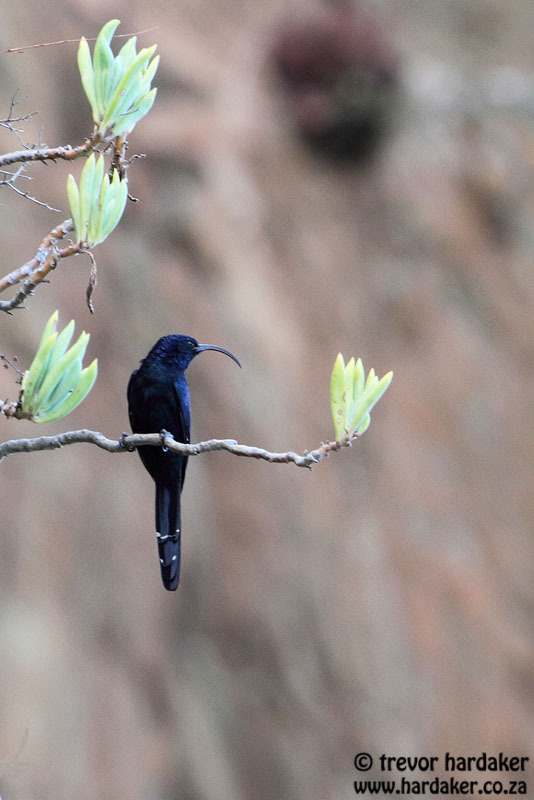 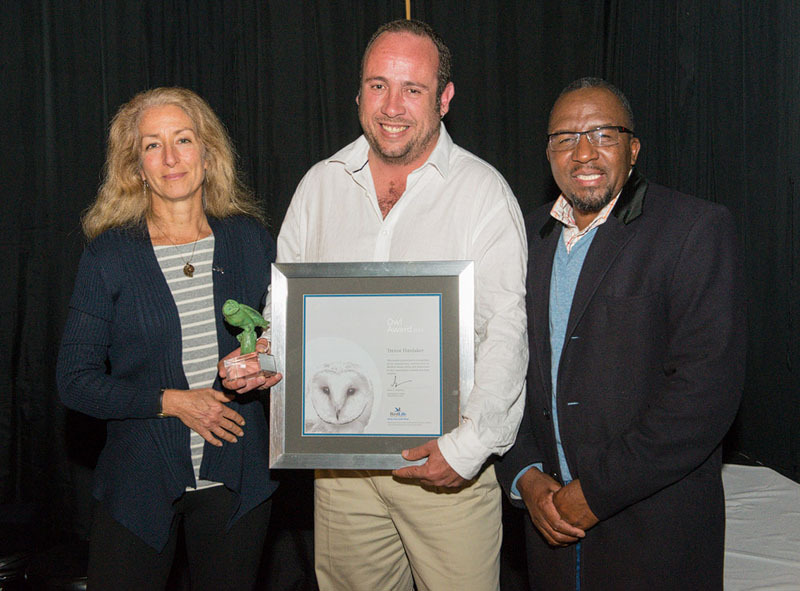 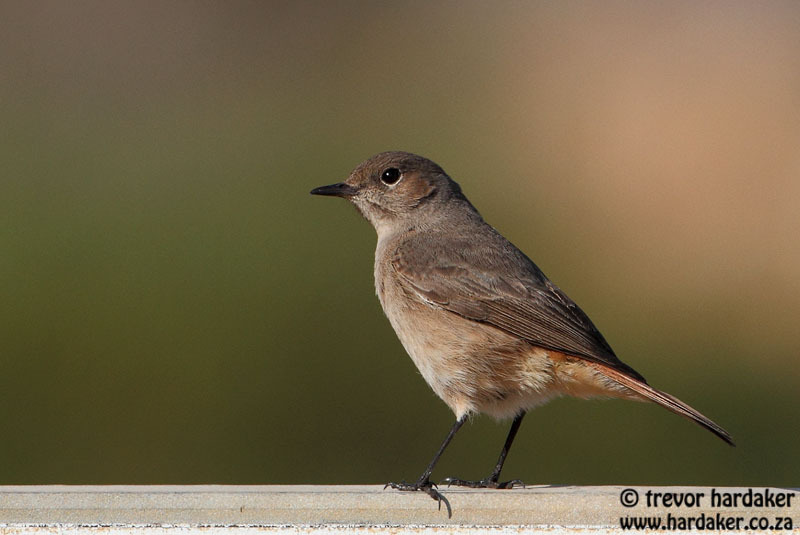 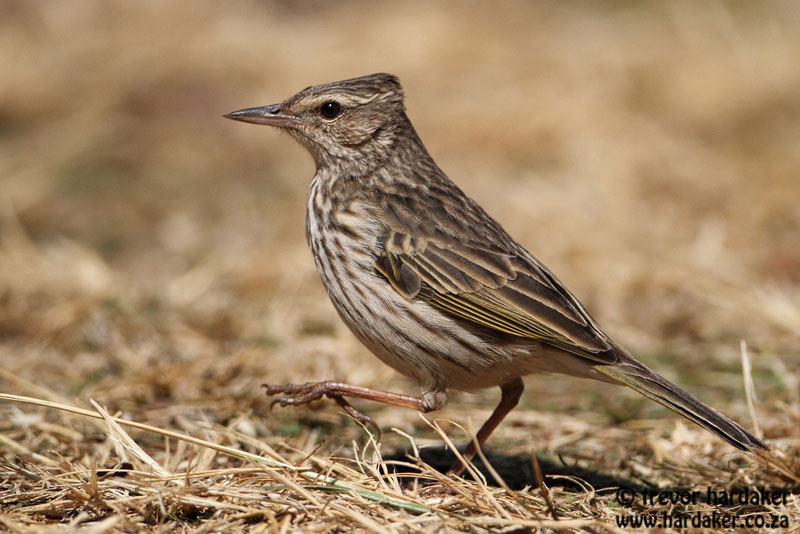 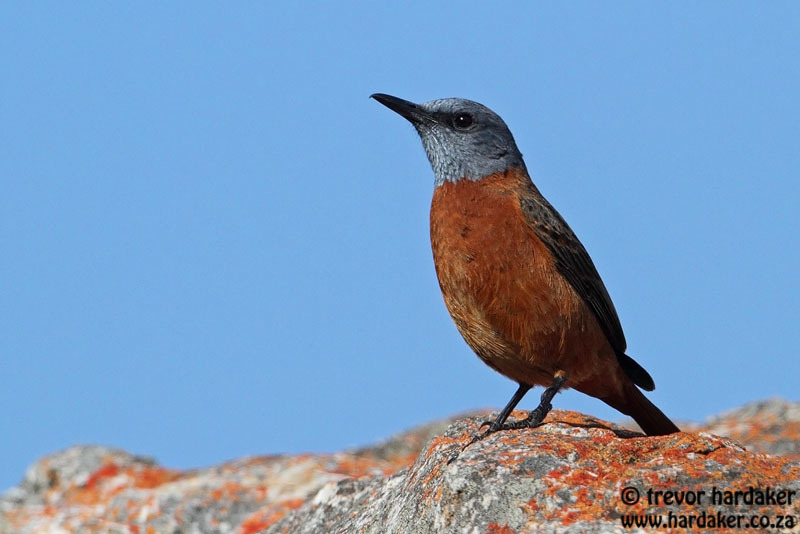 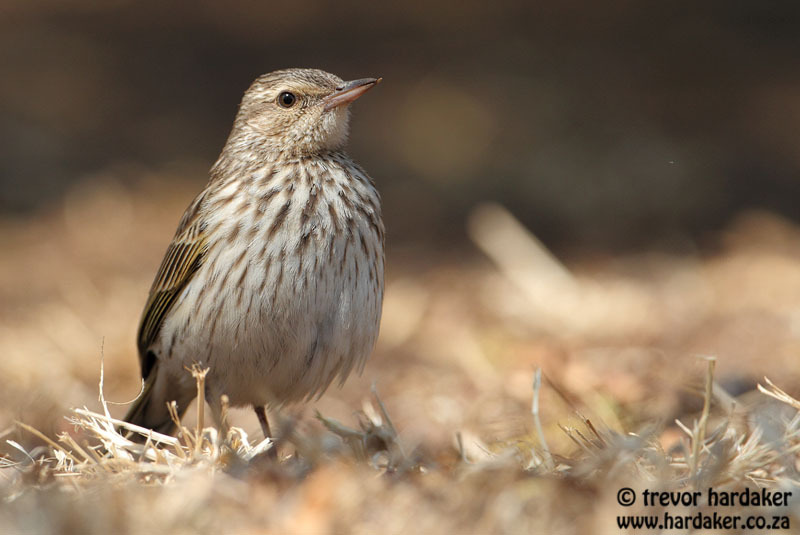 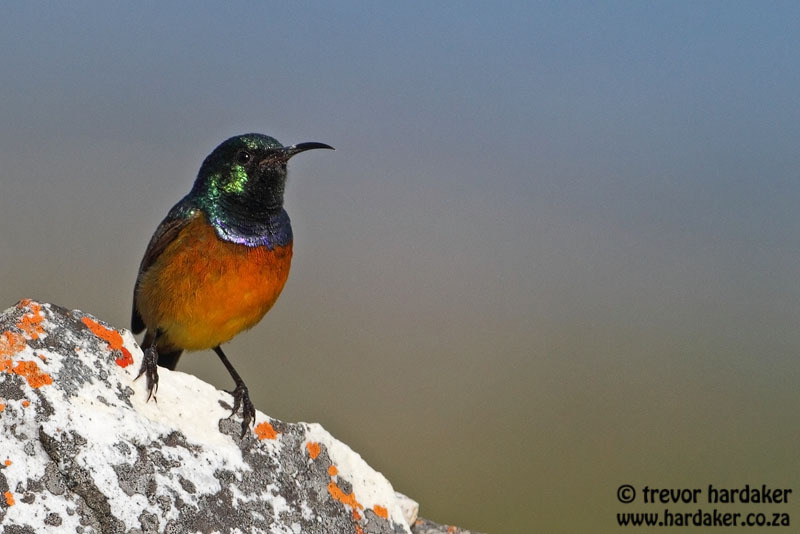 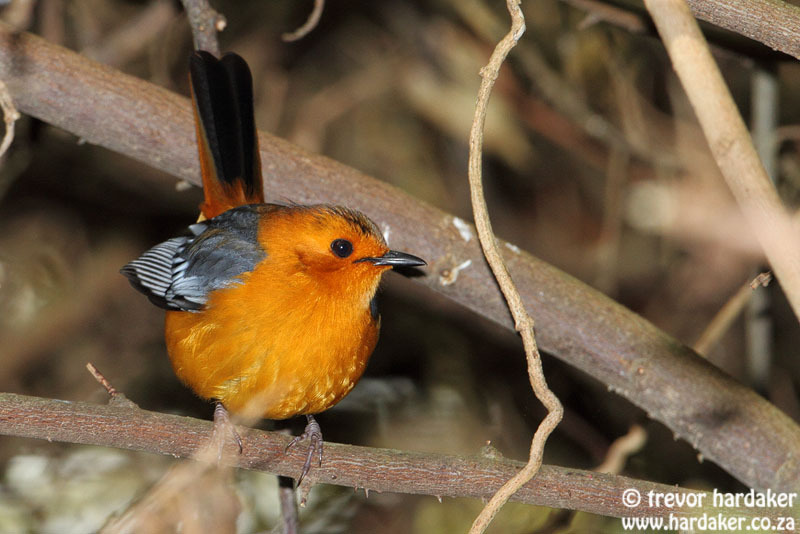 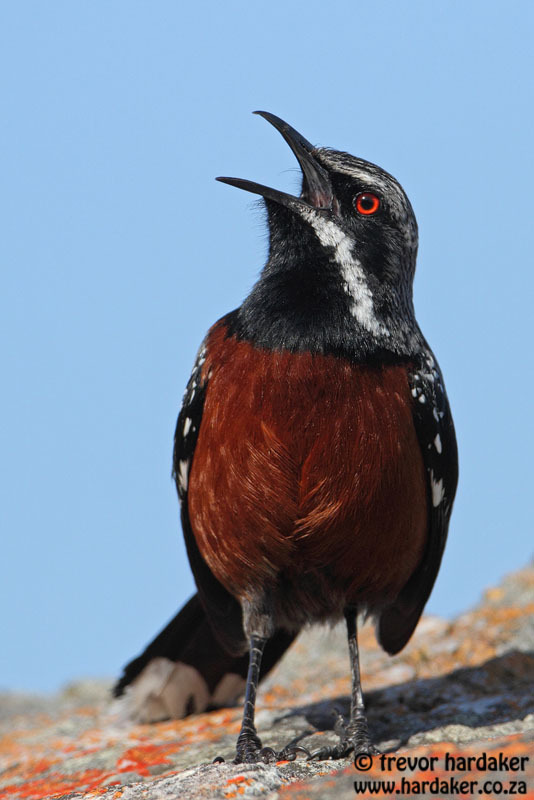 The trip back to shore was uneventful in terms of adding new species to the list, but it was a satisfied bunch of birders that disembarked back at Simon’s Town after another great day at sea.